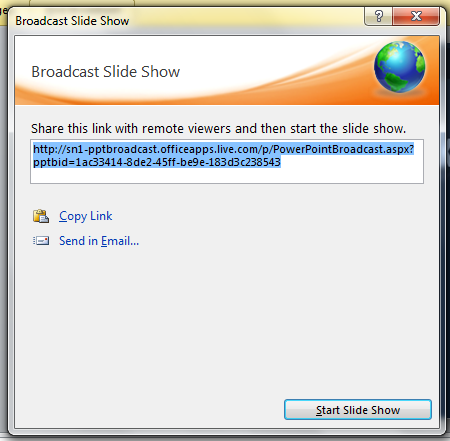 Did you know that PowerPoint 2010 has a feature called Broadcast Slide Show with which you can share your presentation through the web to another computer, smartphone or any other device with a browser? Here’s how to use it. 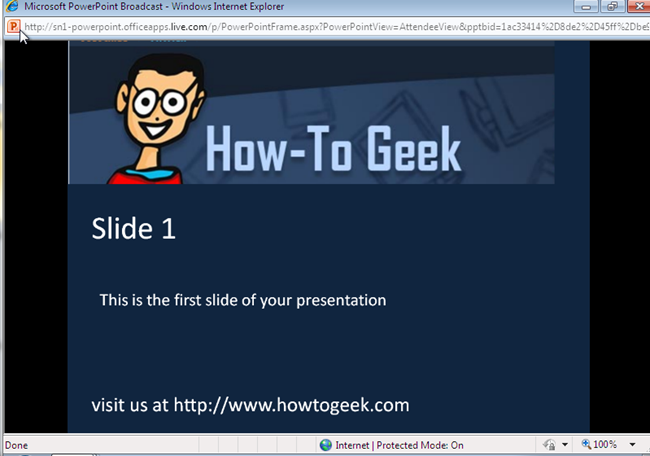 After you have finished your presentation, go to Slide Show tab and click on Broadband Slide Show. You will see a window telling you about this service and that you will need a Windows Live ID to use it. Press on Start Broadcast. 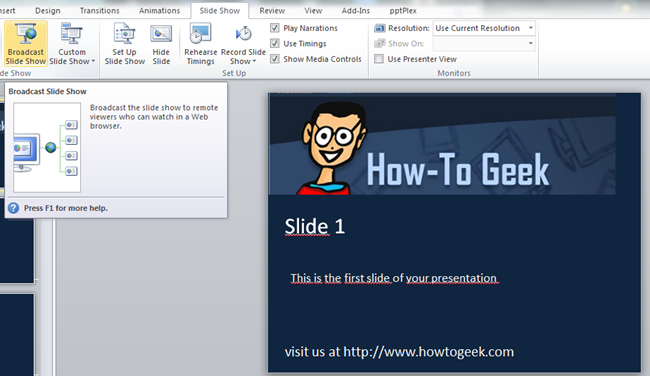 It will upload your presentation to be shared. This can take a while depending on how big your file is. 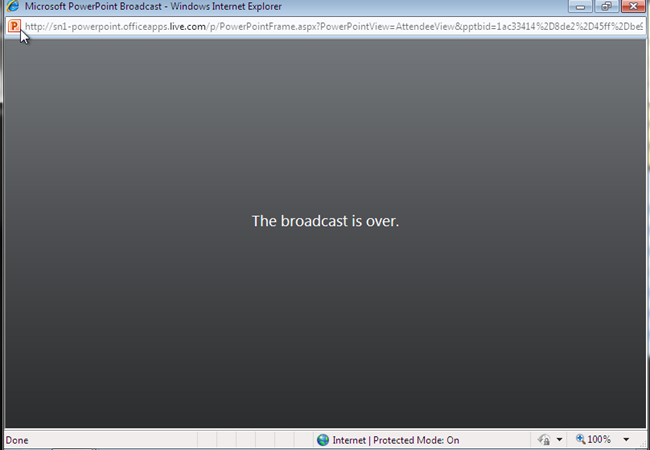 You will then be given a window with the link to your broadcast. You will also see options to copy the link or to send it through mail. After you have sent your link, you will see a warning telling you that you cannot make changes while you are broadcasting and giving you the option to end it. 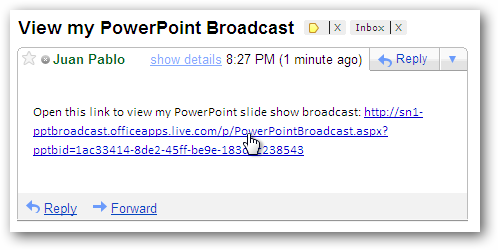 Your viewers will just have to click on the link you sent them (via mail or IM). 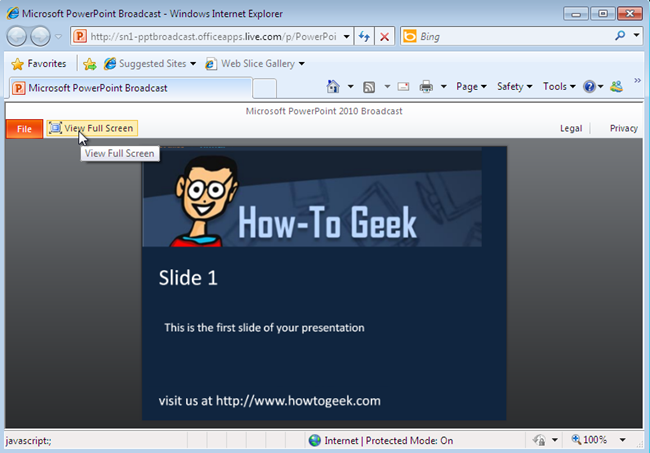 The browser will open and they will see the presentation just as you are navigating through it. They will also have an option to watch it in Full Screen View. 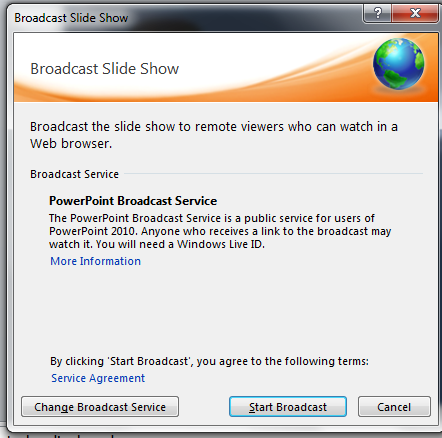 After you finish to present, your viewers will see a black slide telling them the broadcast is over. This is a great feature, although it lacks of audio transmission and you will need another program like Skype, Messenger or others to transmit the audio.